Today I decided to just do a pretty face with flowers. I call her Flora. Lunchman looks a little like Robin Williams. 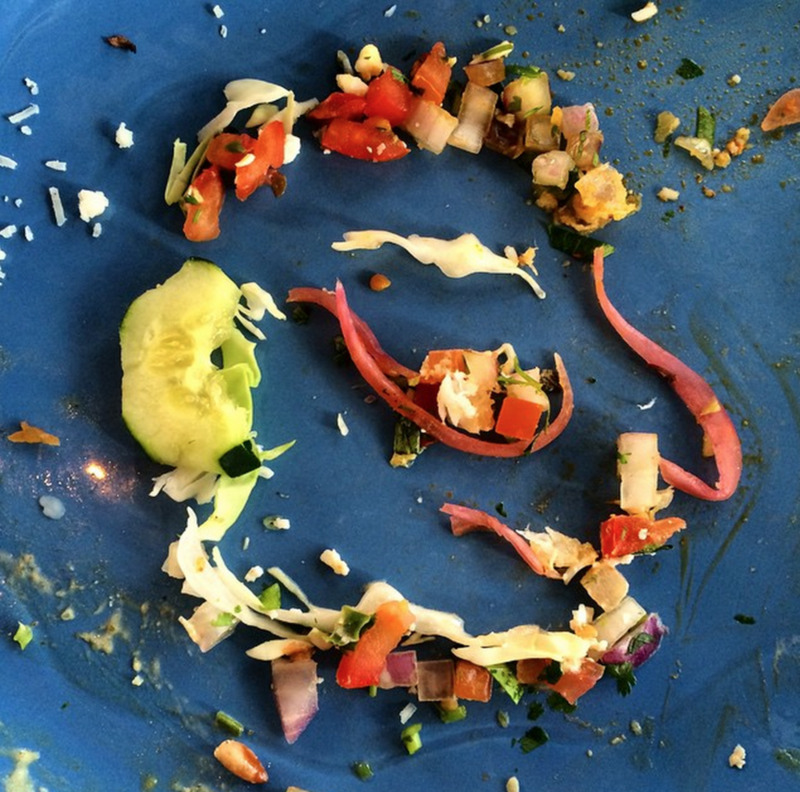 My remnants from lunch at Barrio Queen in Scottsdale. Another "found" face. 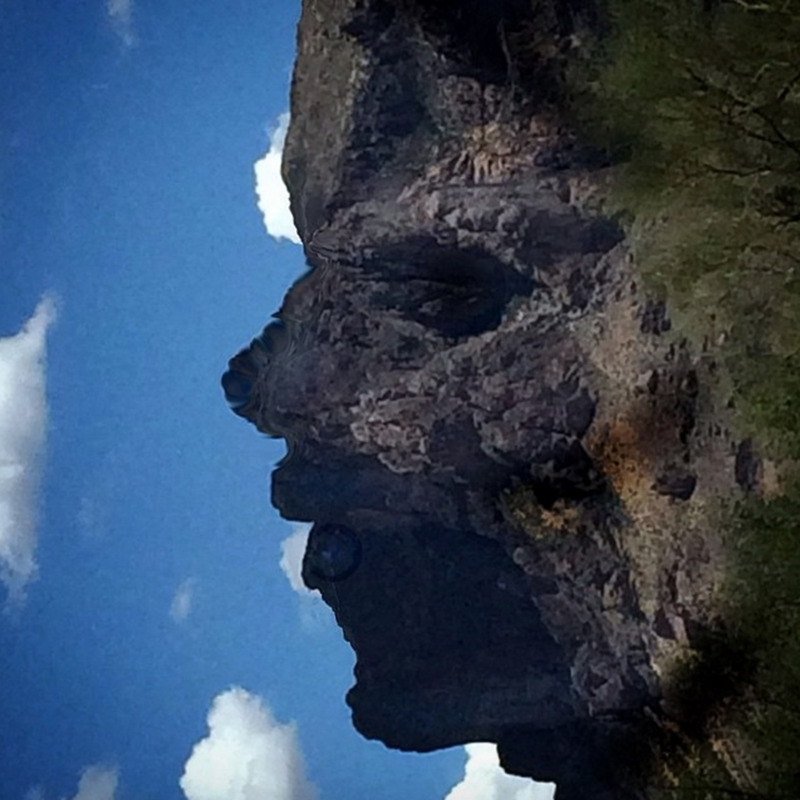 This is a photo of Superstition mountain turned on its side and edited slightly to reveal the face.